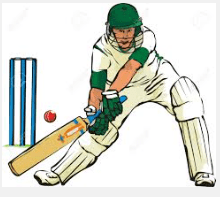 On Thursday 30th June, our Y5/6 Boys and Girls played Cricket at Wickersley Comprehensive in the Rotherham Schools Cricket Final. The girls team played and won all 4 of their matches. Game 1 – Thornhill V Kimberworth. Result – we won 231 to 217. Game 2 – Thornhill V Greasbrough. Result – we won 236 to 225. Semi Final – Thornhill V Brunswick. Result – we won 252 to 231. Final – Thornhill V Greasbrough. Result – we won 248 to 240. The girls will now go through to Wetherby to represent Rotherham on Wednesday 6th July. The boys team played and won all 4 of their matches. Game 1 – Thornhill V Greasbrough. Result – we won 292 to 225. Game 2 – Thornhill V Kimberworth. Result – we won 222 to 187. Semi Final – Thornhill V Brookhouse. Result – we won 259 to 213. Final – Thornhill V Kimberworth . Result – we won. The boys will now go through to Wetherby to represent Rotherham on Tuesday 5th July.